The WaveWall Universal Phone Cases shields your body from radiation so you can safely carry your phone in you pocket without worry. 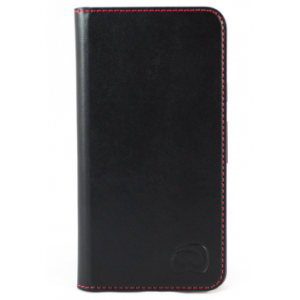 They also protect your phone from damage, look fantastic and even provide RFID protection for your cards. The WaveWall Universal comes in two sizes. Small (for phones with up to 10cm screens). Accommodates phones 14.4 cm x 7 cm (such as iPhone 5/5S/5C/SE, iPhone 6/6S, iPhone 7, Samsung Galaxy S4). 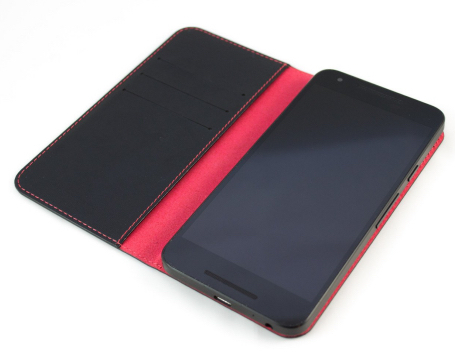 Large (for phones with up to 15 cm screens). 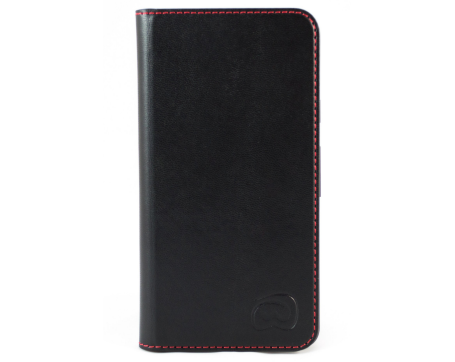 Accommodates phones 16 cm x 7.7 cm (such as Samsung Galaxy S8, iPhone 6/6S Plus, iPhone 7 Plus, Samsung Galaxy Note 3/4, Moto G4). 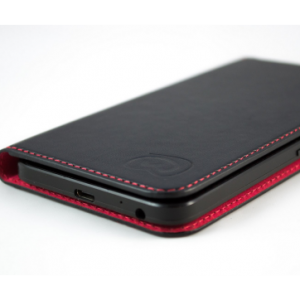 The WaveWall Universal anti-radiation case protects your phone against damage, while protecting your body against the radiation the phone emits. The case blocks over 85% radiation from the phone to your head and body. 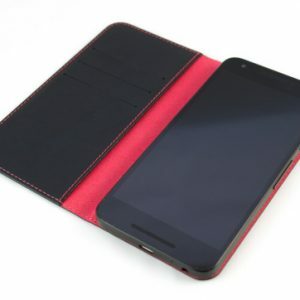 Contains anti-radiation fabric on one side to block incoming signals, while still allowing your phone to connect to a phone tower. 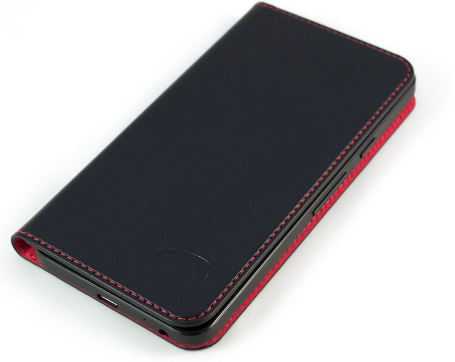 The case is made of black faux leather, trimmed with red stitching, and has a red lining. 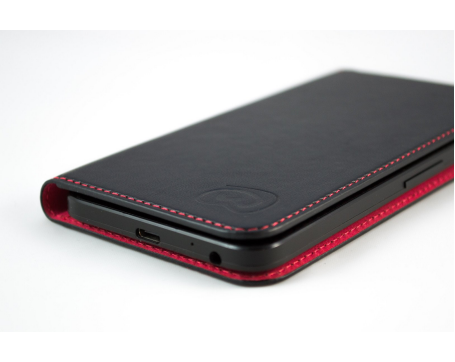 Secure your phone to your WaveWall Universal with the adhesive pads provided. Make sure the slider is in ‘down’ position before attaching the phone. Remove the red sticker from the slider and attach one of the temporary adhesive pads provided to the slider in the position indicated. Once your phone has been secured, you will be able to slide it up to use the camera function. 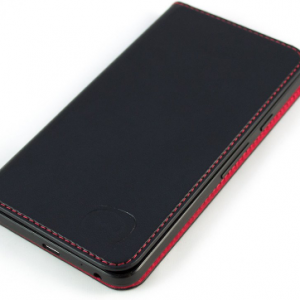 Place the phone in your pocket with the WaveWall logo against your body (IMPORTANT). When talking on the phone, close the WaveWall Universal for greater protection. There’s even a section for your cards with RFID protection. Independent testing shows that the best prototype reduced the SAR (Specific Absorption Rate – ie the amount of radiation absorbed from a phone) from 0.535 W/kg to 0.066 W/kg. Download full test report here.